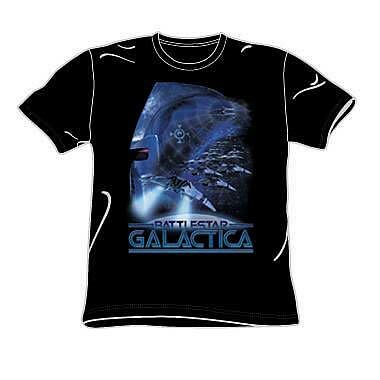 Battlestar Galactica Classic Cylon Attack T-Shirt. The Cylons are coming, the Cylons are coming! Take cover with this 100% cotton, high-quality, pre-shrunk black t-shirt. Machine washable. Order yours today!